Baudelaire is one of the most famous decadent poets, but before the 20th century, when his work underwent considerable re-evaluation, he was generally considered by many to be merely a drug addict and a very vulgar author. His importance among serious literary critics and writers was, however, rarely in dispute. He was one of the first to recognize and to commend Poe's literary worth, and was also a noted art critic. Baudelaire's confrontation of depression with the consumption of drugs such as opium, hashish and alcohol was a major influence on his work. Many of his poems were influenced by his interest in "les correspondances", or synaesthesia. Synaesthesia is the mixing of the senses, that is, the ability to smell colors or see sounds. He wrote several poems about the subject itself, such as "Correspondances", and used imagery and symbolism based on the experiences of synaesthesiacs. In general, Baudelaire was a sensualist, in love with sensations, and he tried to experience them and express them in abundance. Andre Breton claimed that Baudelaire had been one of the first surrealists. "[The] case of Baudelaire's exotic exclusiveness will be understood, and of his strange conduct towards Madame Sabatier, and it can be why so many people give credit to the rumour reported by Nadar. (Baudelair's impotence, generally admitted in this case, is denied by Flottes.)" pages 153 and 187 of The Romantic Agony. Jeanne Duval was the lifelong romantic association of French poet and art critic Charles Baudelaire. One of Les fleurs du mal poems, "Une charogne," was dedicated to Jeanne Duval, a second-tier mulatto actress. What draws my attention is her gross conduct. Charles Baudelaire's work has undergone serious re-evaluation. At the time of his writing he was considered by many to be merely a drug addict and a very vulgar author. Today, his importance as a literary figure, however, is rarely in dispute. 1864: Charles Baudelaire meets Félicien Rops Baudelaire and Rops first met through the editor Auguste Poulet-Malassis. "Rops is the one true artist - what I and perhaps I alone mean by artist - that I have found in Belgium!" 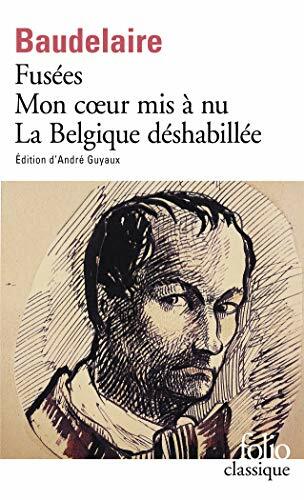 "I was, I believe, not merely a friend, but the most faithful and respectful companion to Baudelaire, I "lightened his sadness in Belgium", as he describes it in a dedication which is very dear to me....". The poet visited Namur and the family château of Thozée many times. Though it is often said Charles Baudelaire published only a single volume of poetry, The Flowers of Evil, this is untrue if you count his published prose poetry such as Spleen de Paris. "Let it rescue from oblivion those tumbling ruins, those books, prints and manuscripts which time is devouring, precious things whose form is dissolving and which demand a place in the archives of our memory - it will be thanked and applauded. But if it is allowed to encroach upon the domain of the... imaginary, upon anything whose value depends solely upon the addition of something of a man's soul, then it will be so much the worse for us." Some painters dubbed the new invention "the foe-to-graphic art." Certainly those artists who specialised in miniature portraits suffered; in 1810 over 200 miniatures were exhibited at the Royal Academy; this rose to 300 in 1830, but thirty years later only sixty-four were exhibited, and in 1870 only thirty-three. On the other hand, the painter, Gustave Courbet, recognised photography as a useful aid in depicting motifs. However, his paintings seem to illustrate, by the thickness of colour, that he saw photography as consisting merely of a copy of reality, and that painting went much further. This is the first book to apply the principles of schizoanalysis to literary history and cultural studies. 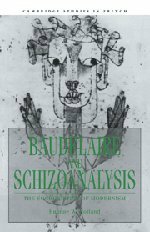 By resituating psychoanalysis in its socio-economic and cultural context, this framework provides a new and illuminating approach to Baudelaire's poetry and art criticism. Professor Holland demonstrates the impact of military authoritarianism and the capitalist market (as well as Baudelaire's much-discussed family circumstances) on the psychology and poetics of the writer, who abandoned his romantic idealism in favor of a modernist cynicism that has characterized modern culture ever since. "Au fond del'Inconnu pour trouver du nouveau!" To the depths of the unknown to find something new: is this the battle cry of modernism or an advertising slogan?